The Sylvan Sport GO is a uniquely versatile camper that can have you enjoying the great outdoors faster than you can say GO! This transformer goes from a toy hauler to a cozy spot to lay your head in just a few steps. Hauling bikes, kayaks, gear, or even your motorcycle to your destination has never been easier. It’s time to pack up and GO adventure! With year end clearance pricing PLUS the added GOZEEBO added for free from now until December 24th, this is the time. Limited amount in stock, so hurry in or give us a call. The Sylvan Sport GO is very roomy, and with a king and a half size bed, you can sleep 4 with no problem! At 800 lbs it can be towed by almost anything. 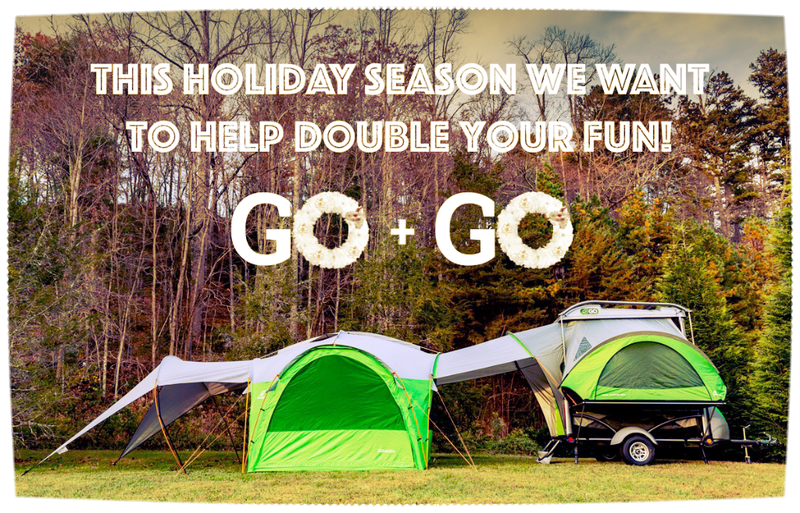 The tent material of the GO is a 220-denier ripstop nylon fabric, 3x heavier duty than traditional family tents. The tent is also completely waterproof and seam-sealed, so there is no need for an additional rainfly. 3-way doors and windows (screen, clear weather protection & privacy), as well as strategically placed ventilation, allows you to control the airflow within the GO. 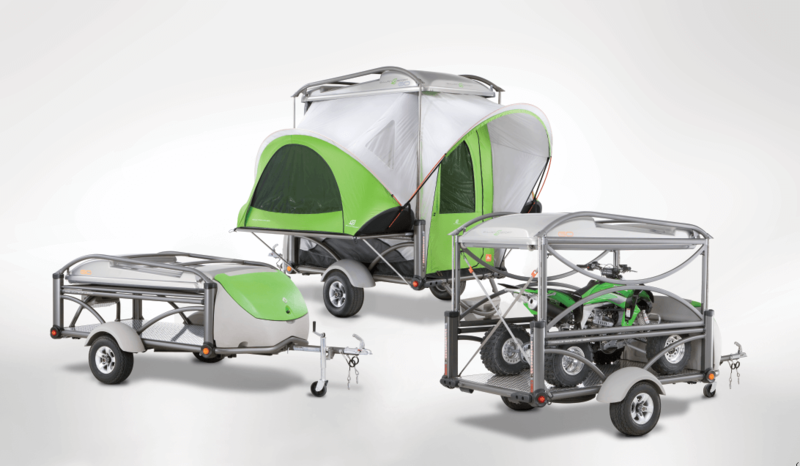 If you want a trailer that can do it all, you need the Sylvan Sport GO! Coolest. Trailer. Ever. Now through December 24th, get the GOZEEBO for free!